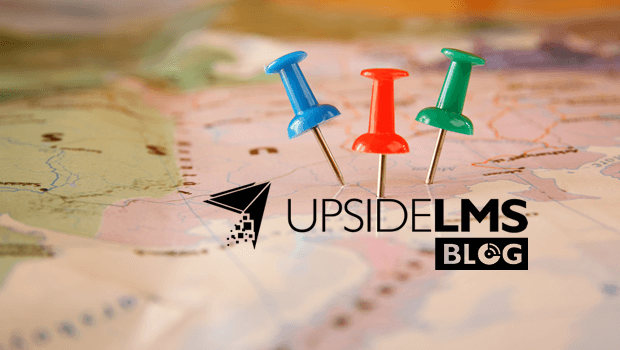 UpsideLMS Blog: Your Destination for all things LMS! The Learning Management System market is one of the most rapidly growing markets, expected to grow from USD 5.22 Billion in 2016 to USD 15.72 Billion by 2021 at a CAGR of 24.7% (as per the latest report on LMS market from Markets&Markets). With this high growth and rapid adoption, comes an element of dynamism that tends to disrupt the learning industry at a mind boggling pace. For individuals and organizations dealing with training and L&D, it’s important to stay in step with these advances. The UpsideLMS Blog is borne out of this very need. An offshoot of the Upside Learning Blog, the ‘UpsideLMS Blog’ aims to create a better focus on Learning Management Systems and cater to individuals interested in this area. The UpsideLMS Blog retains all the ‘Learning Management’ related posts from the Upside Learning Blog, and continues to carry much of the latter’s look and feel with some new features being planned over the next few months. Driven by the Best Value, SaaS Learning Management System’s own team of bloggers that includes eLearning professionals from diverse fields of Product Management, Project Management, Sales and Marketing, the UpsideLMS Blog will feature blog posts on LMS industry trends, Tips and Tricks for leveraging LMSs, Considerations and Factors for LMS Selection/Buying/Using, UpsideLMS Case Studies and much more! Apart from posts, the blog will also highlight UpsideLMS’ free resources for Training Companies, Enterprises and SMBs in the form of eBooks, webinars, infographics, case studies, presentations that the readers can download. Last but not the least, thank you to all for your continued support and readership, and we look forward to seeing you on UpsideLMS Blog. Amit has played a key role in bringing an innovative approach to the traditional Learning Management System (LMS) and has been instrumental in putting UpsideLMS on the global map. Acting as a consultant for his clients, he leverages his 16+ years of experience in the eLearning domain and helps them in implementing LMS successfully. At Upside Learning, he leads the Technology Solutions team and orchestrates the Sales operations in the US, the Middle East and India. Amit is an active contributor to the company's blog and many eLearning forums. Amit has spoken at various L&D events in the US, has co-hosted webinars alongside leading industry experts and has authored eBooks on Learning Management Systems. He has served as a judge for the Brandon Hall awards in 2002 and 2004. Amit holds a bachelor's degree in Computer Science (REC–Kurukshetra) and a master's in Business Administration (IIM – Lucknow), and has earlier worked in the IT sector. I realize you’re writing for an international audience and one that covers a number of different business sectors, but even so, I think there’s an issue that you should be covering, at least for the US audience. That’s compliance with ADA. While people recognize ADA’s impact on physical construction, most folks don’t realize it also covers online issues. In fact, for those businesses that are covered by ADA, even the LMS needs to be accessible for people with disabilities. And, while most are, at least superficially, I think a blog like your’s should be pushing the field, and LMS providers to ensure that their product meets legal accessibility. And, while I focused this on US legislation other countries have similar legislation, but may not at this point have the agencies doing enforcement.